Tis the season for costly cyberattacks and breaches, seasonal employees with access to sensitive data, malicious ad bots, and compromised corporate credentials. It’s the most critical time of the year for CMOs, many of whom have spent the last 365 days preparing their strategies for the holiday shopping season. All good–except the merriest season can also be the riskiest season, from a cybersecurity perspective. Amidst the holiday hustle and bustle, the impact of several cybersecurity issues increases: not simply cyberattacks timed to when traffic and transactions are typically at their peak, but also dangers associated with seasonal employee systems’ access, digital ad fraud, and employees using their corporate credentials for holiday planning. At the same time, marketing teams and their third-party partners have access to confidential data and valuable intellectual property that could become compromised as they are consumed by their end-of-year duties. Any one of these possibilities can cost companies dearly at a time when they can least afford the disruption. We’ve highlighted the four biggest cybersecurity risks that marketing leaders should unwrap this holiday season and beyond. The vast majority of companies—84 percent—have been victims of DDoS attacks in the last year at an average cost of $2.5 million, according to Neustar’s 2017 DDoS Attacks & Cyber Insights Research Report. The impact during the holidays could be even greater—and that does not factor in reputational impact and loss of customer trust. “CMOs should ensure their network security and DNS infrastructure are prepared to defend against DDoS attacks, breaches, and malware,” said Walker. They should also build in redundancies in the event that a provider is hit, communicate regularly with IT and security teams during this busy period, and make sure they have rehearsed contingency plans in place. A major cybersecurity risk for brands are former seasonal employees that can still access company systems and the data they contain. More than half of ex-employees still had access to company applications, according a 2017 survey by secure access provider OneLogin. “A disgruntled former employee with access to advertising and social media management applications could deploy offensive online ads and post them to company social properties, causing significant damage to their former employer’s brand,” explained Al Sargent, senior director at OneLogin. CMOs should work with IT and HR to make sure that there is an identity and access-management system in place that securely and completely offboards all users from all company applications, laptops, and networks when their engagement ends. This should be done for both full-time employees and contractors. Online retailer StitchFix, for example, does this for its rotating crew of part-time fashion stylists who typically work for the brand a few months at a time. 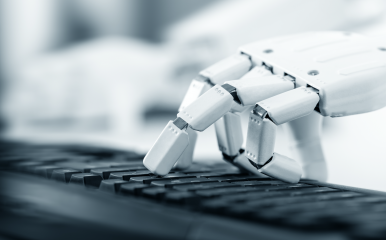 There are a number of steps marketing leaders can take to diminish the impact of bot fraud, according to an earlier report by the Association of National Advertisers and WhiteOps, including demanding transparency on source traffic from their vendors, refusing payment on non-human traffic, and working with fraud detection companies accredited by the Media Rating Council. Holiday e-commerce will hit a record $107 billion this year, according to the latest research from Adobe Digital Insights. Ticking items off those holiday shopping list at work is more than a potential drag on employee creativity—it can create opportunities for cyber criminals to infiltrate corporate systems. CMOs should partner with IT and HR to introduce and enforce several simple rules, according to Byron Rashed, InfoArmor’s vice president of global marketing and advanced threat intelligence, including never using corporate credentials for non work-related web sites, ensuring that passwords for cloud-based work systems are different than those used for corporate systems, and notifying IT whenever credentials or passwords are compromised. So now that security is battened down, let visions of sugarplums dance. Marketing leaders should invest just as much time and effort into ensuring that this is not only a profitable period for their brands, but a safe one. Vulnerable DNS can cause the most damage if it goes down, bringing ad and transactional revenue to a grinding halt. CMOs should partner with IT and HR to introduce and enforce several simple rules to prevent credentials theft.